1. The side braid - Us Ruby girls luuurve a side braid! Whether your plait is loose and messy or tight and neat, they are perfect for any occasion. 2. Shelf styles - We're always looking for new ways to display different décor and 'nik nak' elements at home, and we love how they look on differently styled shelves. 3. Scalloped flats - Now that Summer is almost upon us, we're obsessed with the cute look of sandal flats with a scalloped trim. 4. 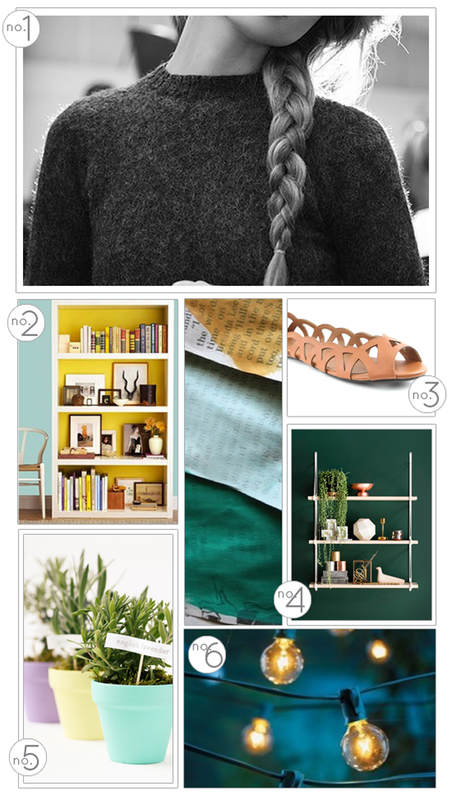 Copper & emerald - This moody colour palette combines Pantone's Colour of the Year and copper. Isn't it just gorgeous? 5. Herb garden - Cooking with fresh herbs is just so much better! And that's why we're obsessing over different ways to plant herbs in a little herb garden. 6. 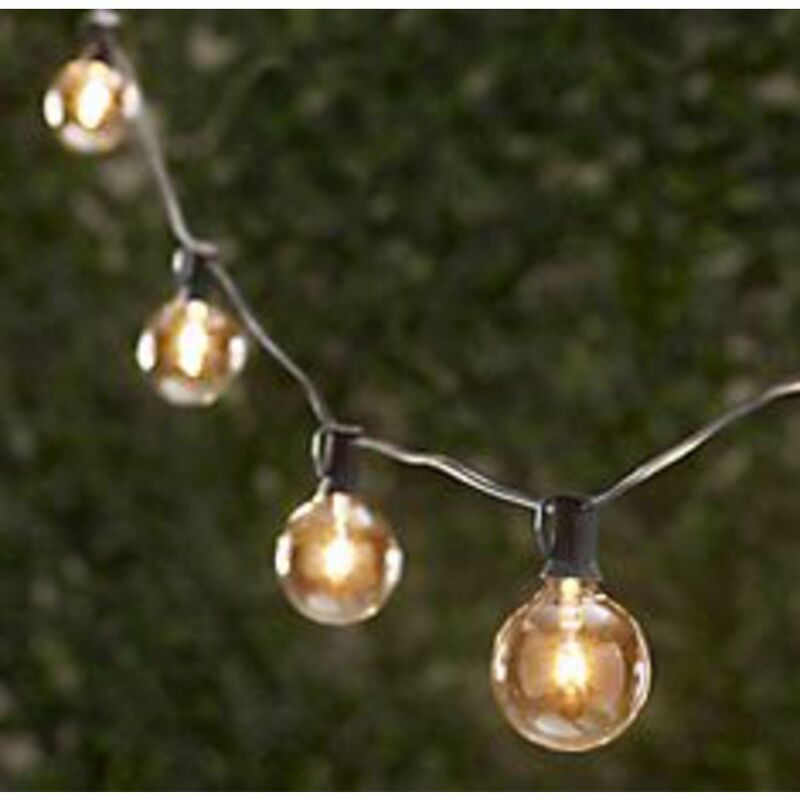 Bulb string lighting - Who doesn't love a string of lights at night? We love the old-school type of bulb lighting with frosted decor lamps. Image credits in links above.